Lifestyle audits will be conducted on owners and managers of Savings And Credit Co-Operatives (Saccos), the Ethics and Anti-corruption Commission (EACC) has said. This follows a new agreement signed between the anti-graft body and the State Department for Cooperatives. 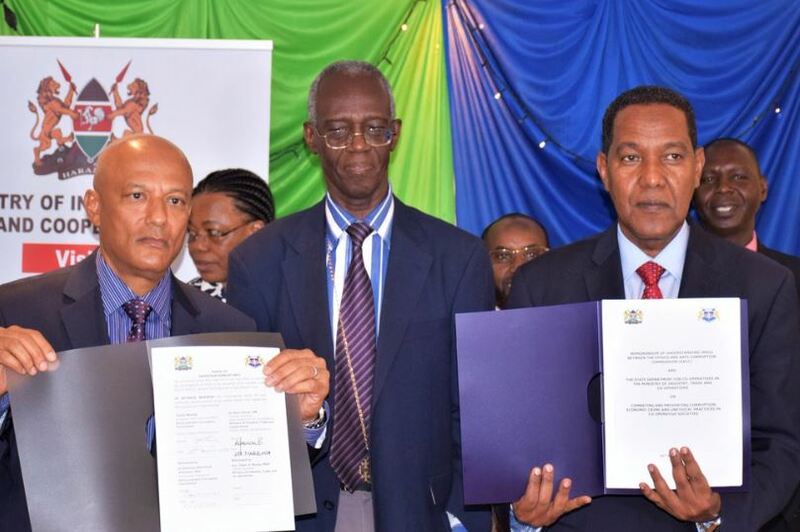 EACC CEO Twalib Mbarak said the move was necessitated by increased cases of fraud in the cooperative sector. He said the anti-graft body will help the cooperatives department in conducting lifestyle audits on top Sacco managers as well as tracing and recovery of stolen assets. “We will give you the tips on how to conduct basic lifestyle audit. We will tell you what you need to monitor about the top management so that you can raise the red flag at an early stage. “And suppose a top leadership of a Sacco has been caught in misappropriation of funds or unexplained wealth we will help you do asset tracing and recovery,” said Mbarak. Speaking during the signing of the MOU in Nairobi on Monday, EACC Chairperson Eliud Wabukala added that evidence has shown there is massive corruption and unethical conduct within the cooperative sector which has resulted in the loss of millions in members savings. The agreement will also see institutions and personnel in the Co-operative Sector support the prosecution of cases of corruption and economic crimes and unethical conduct within the sector.